The beauty of a steel structure is its versatility and adaptability. 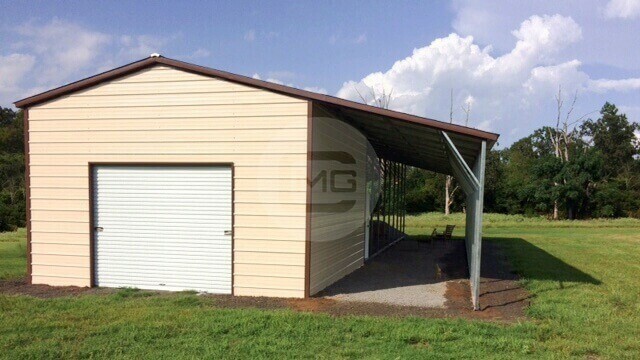 If you need an open-air roofed structure with open accessibility on any side, we can do that at Metal Garage Central. 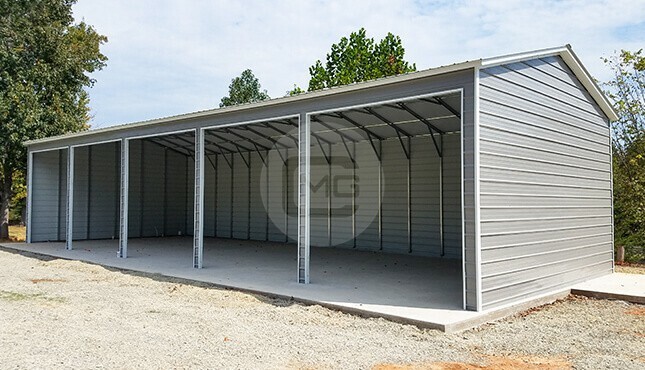 If you need an enclosed structure with more protection and security, we’ve got you covered. Or maybe you want to meet in the middle with a partially-enclosed building – we can do that, too! 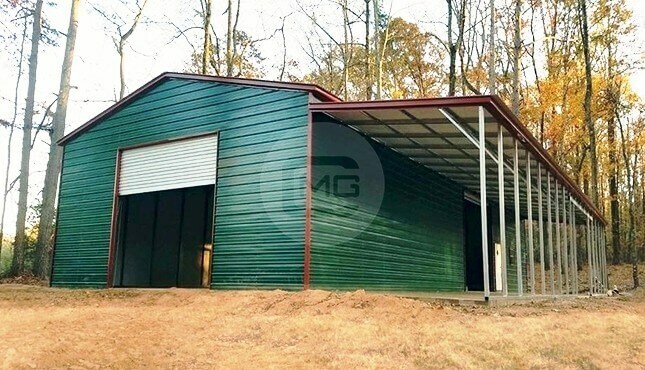 If you don’t need (or want) a fully-enclosed metal building, but would like to add some enclosure for added protection from the elements … keep reading. 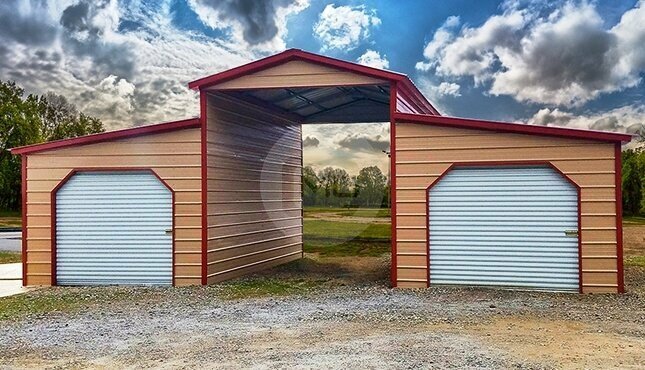 When it comes to options for designing and customizing a partially-enclosed structure, the sky’s the limit with Metal Garage Central! 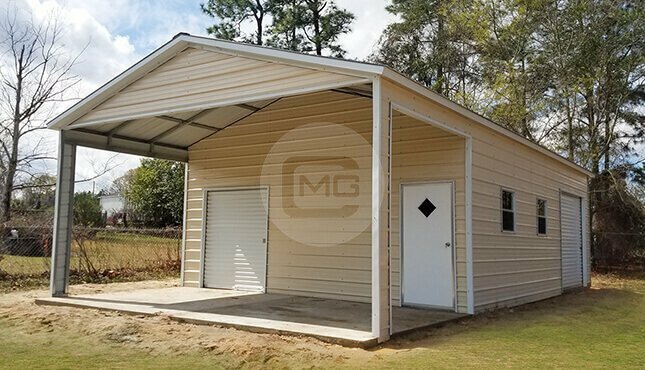 Partially-enclosed metal carports, garages, sheds, and storage buildings offer more substantial protection while still allowing for ample ventilation. A typical way to achieve this is to enclose two sides of the structure, while leaving two sides open. Alternatively, some customers choose to add a third wall, and just leave one side open. 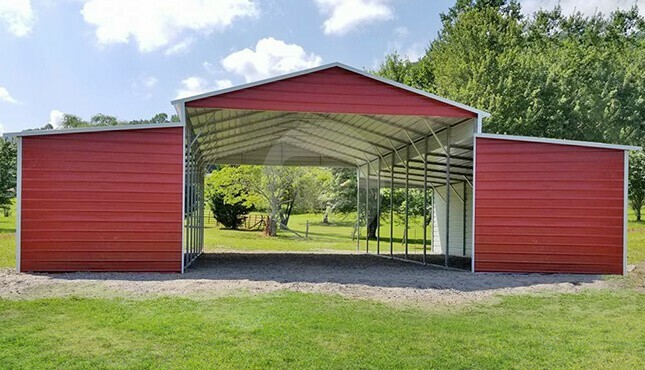 Another advantage to a partially-enclosed structure is that since it requires less metal sheeting than a fully-enclosed structure, the price tag can end up being a little lower, too. A key advantage to a partially-enclosed carport over a fully-enclosed carport is the fact that it offers significant protection from the elements while also allowing for free-moving air. 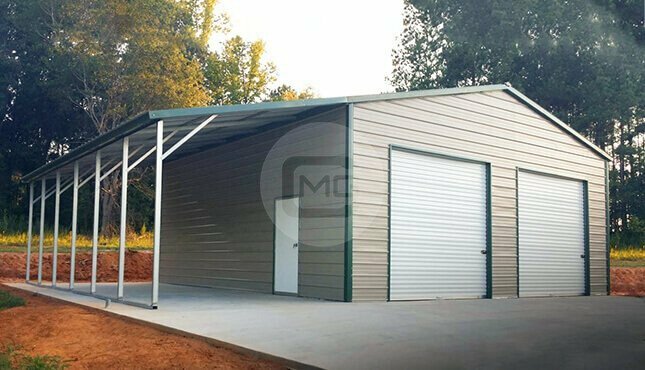 Many customers also like the convenience of being able to pull right in and out of partially-enclosed carports without having to fool with any cumbersome garage doors. These partially-enclosed carports are easy to expand as your needs grow, and they’re also simple to convert to a fully-enclosed structure at some point in the future, if you so choose. 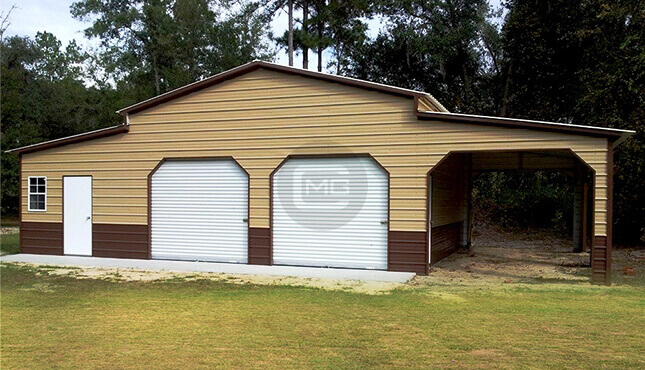 Whatever you need from a partially-enclosed building, Metal Garage Central can help you design and install the perfect solution! 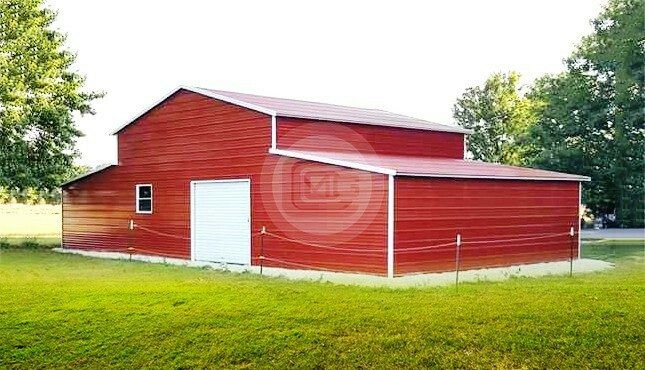 The roof style you choose for your custom partially-enclosed metal building makes a big difference in its functionality, and roof style also has a significant impact on the final price tag. It’s important to consider the weather in your area when choosing a roof for your steel structure. If you live in an area that experiences heavy rain or snowfall, it is recommended that you go with a vertical roof style. Our friendly, knowledgeable building specialists are here to help! We’re happy to walk you through the whole process, from design to ordering to production to installation. 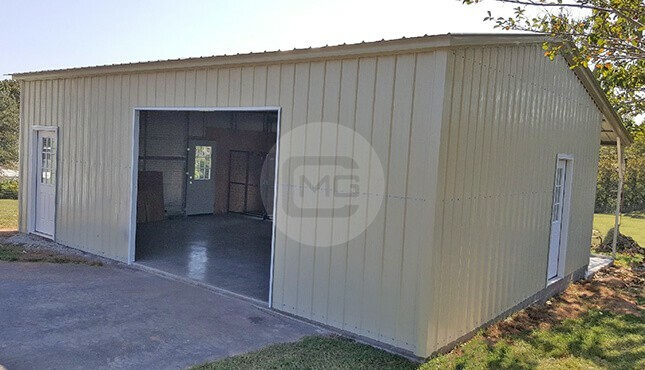 Check us out online at Metal Garage Central, or give us a call at (980) 321-9898 and let’s get started on designing the partially-enclosed building of your dreams today!